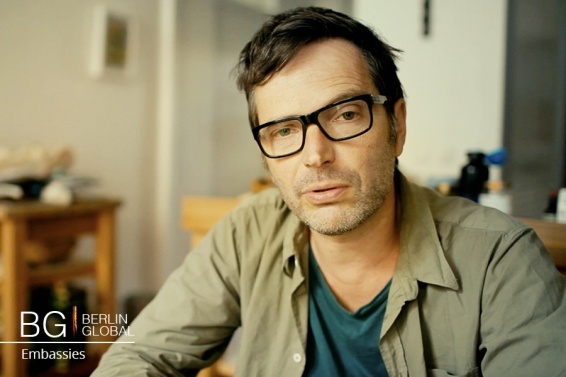 The House of World Cultures in Berlin, in collaboration with the Embassy of Chile, presented on Saturday 23rd of April at 18:00 the film "Intimatta", about Roberto Matta (1911-2002), architect, sculptor and painter whose work was spread to all continents. 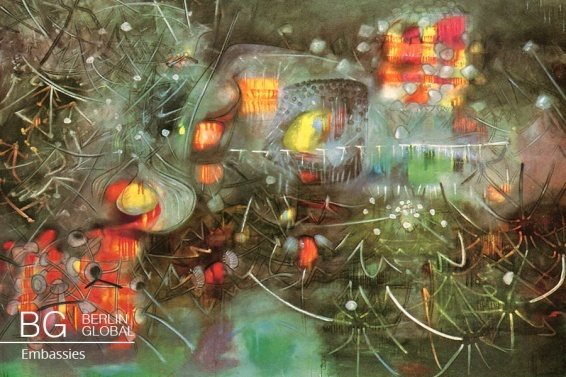 Matta is one of the most important and recognized artists of the 20th Century. The film is part of the program of exhibitions of the show "shaking time". Intimatta is not a documentary, but it is a film about the artist Roberto Matta, made with the artist's son, Ramuntcho Matta as director of the documentary in the year 2011, who has prepared dozens of tapes, films, diaries, letters, cards, postcards and memories of his father's life between 1986 and 2000, showing us not only life, but a way of thinking. The viewer can be immersed in an artistic universe since even the fellow and workmates of Roberto Matta participated talking in the film. With this unpublished material as a starting point, Intimatta plunges us into the intimate and artistic world of the artist, indicating some universal questions about transmission, parenthood and how to share intimacy. Roberto Matta (1911-2001), studied architecture in Chile. From 1933 to 1934 he lived in Paris and worked with Le Corbusier, where he had meetings with great artists of his time who influenced his work. Matta was expressionist and surrealist and became known for the technique developed by himself "psychologies morphologies". His work was interdisciplinary and cross-border, where the viewer can sink into an artistic universe and understand the message of renouncing intentionality and control at the time of writing and painting. The Chilean, who died in Rome in 2002, throughout all his life had a political opinion on current events, political debates and discussions, where he took a clear position also expressed this artistically.